"SketchUp Pro is a must have!" SketchUp makes creating models (pergolas, houses, etc.) quite simple. We actually have a few employees in our design department who had never used sketchup before working for us and within a year of using the program have mastered nearly every element. Another aspect that I enjoy is the 3D Warehouse they have to offer, if you're familiar with it, you know how easy it is to get lost in the thousands of models that were created by people across the globe. I've actually started adding models that I've created over the past few years. Lastly another wonderful component that is offered is the Extensions Warehouse! Much like the 3D Warehouse, the Extensions Warehouse offers thousands of tool addons that can help streamline the creative process. I currently use the "Twilight Render" addon which adds a simple rendering element to the models, to make them appear more realistic and another extension I use is the "Mirror Object" extension, which basically copies the selected objects to the slected face! The only issue I have with SketchUp Pro is that it will crash when preforming strenuous tasks (i.e. exploding objects, intersecting faces, etc.). I don't believe however this is really SketchUp's fault. Invest in a 3D mouse! It makes moving around in SketchUp a breeze! SketchUp gives us the ability to share a visualization of the product we are selling to our clients. Anyone that works in the architectural design industry knows how important it is to have visual designs present during a proposal presentation. What Sketching solution do you use? "Very useful for the development of 3d projects"
It is surprising its ease of use and learning, I really like its interface, the tool palettes are very creative and work properly, the 3d warehouse is very useful to get add-ons already made by other users, to install extensions and add-ons is very useful for expand the tools available, even many are free and greatly improve the performance of the software to perform more complex jobs. The renders with a good rendering engine are very good. The camera tool for animations left me very disappointed, it is not professional and it is very inefficient, to model objects with very complex shapes you will have to use many tools and add many extensions to be able to work those forms correctly and get the expected result. It will take more time than estimated. When you create complex projects you start to throw many errors. It is a basic and useful modeler, very easy to learn and recommended to start creating simple 3d projects, you can incorporate plugins to improve the work when you already have some experience with the software to perform more complex and professional projects. It is a useful tool to model some mechanical parts that are not very complex and the software allows me to develop them very fast and then export it to other complementary softwares, it is efficient to import plans and model the 3d based on the inserted and scaled plans. "3d design in a very short time easily." it is interesting its interfaces because it is very simple and the commands are very easy to learn, its toolbar has very good performance to make an easy, simple and very fast design, it can get you out of trouble if what you need is to work fast in A 3d model. the 3d warehouse is very useful both to import and to generate your own library of models, that makes the work much easier and I think it's great. Although it is a very useful program I have been dissatisfied in many aspects of design and 3d modeling, its capacity is limited if you want to enter the world of complex shapes, curves, spheres and irregular shapes, that makes when designing mechanical parts , furniture and objects that require a more dedicated and complex work, the program does not meet the expectations. When simple designs are made with straight and orthogonal shapes, the ideal software is Sketchup, it allows us to make different furniture and insert it into spaces to create environments and scenarios that are necessary to implement advertising renders. Being a flexible program allows you to import files from other programs such as 3d Max and export flat models to Auto CAD facilitating the implementation of several programs in parallel. "Weekly User for Construction Documentation and Carpentry"
There is a huge library of other 3D Modeling, and the ability to create our designs and then flesh out the rest of the model with extra help from other designers and their work is essential, creating a space that has the components that will actually be in our space is something that is invaluable to our customers and ourselves. We have found that the LayOut portion of this program suite is also essential to our workflow as of right now-- where we can create shop drawings for our fabrication department. The line-based programing does not lend itself to actual 3D modeling at all. It is difficult to get some low-level organic forms and to work in this program to get high-resolution forms that are able to be cut on our CNC. Consider AutoCAD and other architectural-based programs. This is the lighter version of these forms of software, and there are many ways this could become more precise. We are solving the issues of having no consistent shop drawing formats or systems for our fabrication. We are able to add more detail, more measurements, and more information quicker than ever, and turn our drawings and models into real pieces in less time than ever before. "It is a software that allows 3D modeling of buildings, landscapes, scenarios, furniture, people. " It is a super practical and easy to use software, I love the simple with which I can design a house in minutes and likewise an industrial piece. It fits in a good way to anyone, because it has an instruction that explains what each function is for. It is compatible with many CAD and 3D design programs. That it is recommended to have a computer with enough memory space so that at the moment of using the software it is fast, feasible and efficient; because this is not the case, the process is usually later than when drawing or designing in said program. I recommend SketchUp For its ease, versatility and rapids when it comes to using it, to people who are initiating in the 3D design; Whether students of the subject, professionals or if they are autonomous with desire to learn something new .. Since it gives you the ease of learning by doing. As an engineering student, he has helped me in the world of 3D quickly and easily. In the same way in the labor field, at the moment of creating a design for a client, the process is faster and can be shown in different designs in a matter of minutes, since it is very easy to use and very practical. "Sketchup pro a program for fast modeling." I like it to be a program where modeling can be done very easily. To make a basic model, that is, a conceptual model of the project is very efficient because it allows you to lift volumes with great ease and speed to draw, since I work with other programs such as autocad. To make a more complex model, structures or complete buildings, the external or internal design is very simple to use to obtain incredible results, apply materials and the geographical disposition of the element. As for the production of animations, it is a bit more complex, but to make captures, it is easier to define the views that you want to show. The main thing that displeases me about the program is that it is not possible to render the model beforehand, but it is necessary to have a program to process it as V-ray installed. In the same way as the conflict that exists with the program when the model is very heavy, for example when it is necessary to make urban models at high speed or in a basic way, even without complex materials, the file tends to be very heavy, force the computer memory and hinder the use of the program to capture animations or images of the model. Also the need to install several plugins to make pieces or meshes more complex, restricting the modeling to more orthogonal figures. It is recommended that there is a preview of rendering, something very light that can be removed with speed for express samples of the product, likewise the rendering of the animations. It has been very useful to make quick presentations for the sale of a product, also for the presentation by means of animations of the buildings and that the client can have an idea of the implementation in a context. With the use of animations it has been possible to make explanatory and sample videos of the products. "Simple and effective 3d modelling tool for a wide range of users"
The software is overall very straightforward and requires little knowledge to get started. Drawing and modelling most rectilinear forms is simple using a basic set of tools and functions on the the toolbar. Creating environments using shadows and scenes allows for more accurate depictions of spaces to be shown. The basic setup of styles and lighting give a good output with the options to customise these to meet your own requirements such as editing the way lines/edges etc appear in terms of thickness and colour. The background sky/ground/horizon can be edited to how you want the surrounding environment to appear. The ability to installs plugins to assist with modelling and the creation of visuals through rendering is very useful for designers/architects such as ourselves. There are some issues when modelling with circles. cylinders and similar non-rectilinear shapes. Sometimes the outputs can be quite basic, with jagged edges or non compliance between shapes and forms. Recent updates of the software have removed the ability for geo-location which was very useful for creating accurate sun/shadows information. Great software for basic 3d modelling and simple visuals. Being able to import 2d CAD drawings directly into the programme allows accurate modelling of spaces and allows us to create basic 3d visual information which we use as a design tool and also to present to clients. Beyond this we can use of programmes to further model, render and edit information as required for presentation purposes. The ability to installs plugins to assist with modelling and the creation of visuals through rendering is very useful for designers/architects such as ourselves. Es un software súper amigable y muy fácil de usar por lo que se ahorran muchas horas de trabajo debido a la facilidad de uso del mismo. La herramienta para renderizar remite al proceso de generar una imagen o video a través del calculo de iluminación CGI (Composición Gráfica de Imagen) presentando un modelo en 3D es una de sus mayores ventajas que te permite generar un espacio 3D ideal, es compatible con muchos programas CAD y de diseño en 3D. SketchUp Pro brings professional grade 3D modeling software into my classroom with relative ease. My students are able to utilize the basic tools successfully to create their projects. Having advanced tools is also important for the students who are more advanced in working with computers and have a better understanding of working in 3D. Although the tools work well, they are not always intuitive. Maybe it is because I am a teacher and not a full-time designer, but I have found that it can be difficult to complete some tasks that I believe should be much easier to complete. There are also a lot of tools for my students to use. This can be a benefit, but it would be great to have a basic tool setting so my students could slowly add to their toolbox as they learn more about 3D design. SketchUp Pro works very well in a classroom setting. Educational discounts are also available to help any district move towards utilizing professional grade software in a classroom setting. SketchUp Pro has filled a need for my students to experience professional software in my classes. As my students begin to prepare for careers after high school, utilizing this software can help to open their eyes to possible career opportunities. Being in a low-income district, this can have a great impact on the lives of the students and the community in which they live. "Sketchup vs other CAD and for Layout software"
Quick and easy to make cabinets and plywood parts. You can set hotkeys nicely. You can make components which allows you to have copies of parts, and if you edit a part in one location it applies that edit to all components. You can take sections through your parts so that you can easily see what's inside your cabinets or boxes. Layout is an accompanying program that is SLOW but very nicely makes professional drawings to send to architects and design teams and clients for approval. Arcs and complex shapes are either annoying or impossible with the native tools. However there are a lot of people who make a lot of extensions that you can easily import into your sketchup. it's great for simple things. i really like the features like components and section planes. i also like that a lot of other people are using sketchup, so there are a ton of videos and professionals all over the world who can offer tips and help. making cabinets. making professional drawings. "With some errors and inaccuracies but useful for 3d design"
The ease of use is surprising, has very dynamic commands and tools capable of modeling a project quickly and in an orderly manner, its file import and export capabilities are very useful to complement the tool with other softwares of the same family, like its collaborative market since it allows you to collaborate and also download models already made by other colleagues and professionals from the design area that will serve to facilitate your work. Their complementary tools for presentations are not very useful and professional, Style Builder and Layout must improve their options and performance, modeling complex forms can be a real nightmare if you do not install add-ons that add useful tools for more difficult modeling cases and that require more work, it does not have its own rendering engine and it would be a useful option. It is very attractive, with a really efficient workspace to start modeling a 3d project and allows users with little experience to start using it without having experience in the design area and that is a very positive value for this tool. It is a software with many capabilities so all the design work team in the office uses it in a mandatory way to present the 3d projects and in many cases design from the tool, its easy utility allows even people outside the software They can manipulate it without technical knowledge and thus be able to appreciate the projects. "BEST TOOL FOR ARCHITECTURAL PRODUCTION"
Architectural modeling.. its really easy and lighter compared to other software. smaller is size and does not require a high-end PC. most of all.. its the cheapest and has the best community ever ! "excellent experience, a very friendly interface for architecture works"
It is a very efficient program, each version pro improves considerably in precision, tools, accessories and management possibilities. For architecture works is a vital program, easy to learn and with many graphic capabilities that allow to develop a 3d model very efficiently and quickly, making the most of the generated model can be renders and animations in addition to allowing the files to be exported to others programs linked to the design area. its interface is very friendly and easy to learn and has a wide range of online tools and add-ons that make work easier. It still needs to develop elements that allow modeling complex and parametric forms, in that sense it has an important lack that perhaps other software if they have developed. When complex and heavy models are made and the necessary care is not taken, the file begins to present errors and in many cases they have no solution. You must work in a very organized manner, using the layers, groups and components in a correct and careful way, that way you will avoid mistakes in complex and heavy projects. Denen take advantage of all the online tools available in 3d warehouse since they will do the design work much easier. All the architecture projects developed in our company go through Sketchup Pro, this being one of the vital programs for the management and development of projects in 3d, all employees must handle it since its use is indispensable and really is very useful for all tasks related to projects from their inception to their final conception, forming a fundamental part of the process and management of each project. "More than holds its own against much pricier competition." The speed with which schemes can be visualised. One can choose either to painstakingly craft a model over a week or two in incredible detail. Similarly, one can fire out a decent-looking massing layout in minutes, with enough salient data to make the models highly useful to other disciplines if necessary. Sketchup still doesn't like curves much! Biggest bug would be the crashing (I find this to be more frequent whilst working on Mac, but it could just mean the age of my work Mac as opposed to my own PC, rather than a "make/model" thing. There is not much I dislike about SketchUp if I'm honest. LayOut as an additional tool for displaying / presenting your model is a definite plus for buying the full version rather than using the free version. If we're splitting hairs, the level of control one has in LayOut might be too "woolly" for those more accustomed to programs like InDesign. Obviously download the free trial first to see if its for you. As well as the typical manuals provided by Trimble, also look at the thousands of available plugins: you may be able to establish some solid workflows from day one! The ability to convert 2D CAD information into 3D, a feature much facilitated by buying the Pro version. Taking 2D surveys and presenting the data in a 3D format, from which an infinite number of sections can be drawn. "Architectural Modeling and Rendering with Sketchup"
I like that Sketchup offers access to infinite possibilities in design through creating your own geometry and also importing projects from the 3D warehouse. I wish Sketchup was more compatible with CAD programs such as AutoCAD and REVIT. Sometimes the geometry is a little messy when importing/exporting etc. Using Sketchup along with other 3D Cad software as well as rendering software will help you to make the most of what Sketchup has to offer. Sketchup has a very wide range of applications to businesses, but for my field, Sketchup really helps to show concepts of your architectural designs. Very easy to use and makes you sketch at a very high speed and precision. Tons of features such as material import, rendering, finishing, amongst others. The google earth feauture is excellent. Sketch up is absolutly a non complex effective software. I really enjoy using it. Sketch up pro is just perfect for 3D. Rendering functions can be improved on though. "The easiest tool to use to design in 3D"
"Updates to older SketchUp software"
I like SketchUp Pro because it as less bugs than other versions of SketchUp, but also reacts quicker. The only thing I dislike is that older versions of sketchup models are not compatible with SketchUp Pro. I also wish there was an easier way to transfer models to other computers, but that is less of a problem. It is definitely one of the more user friendly modeling softwares out there. If your business is looking to use software that is easily used by anyone, then I recommend this product. It is an easy way to model projects that I am working on. It also looks realistic enough that I can show the models in presentations. "I started using Sketchup Pro in 2008 in college environment and have used for over ten years." Since this is for Pro, I will stick to Pro features. The number one advantage is your ability to import CAD files from other 3d modeling software from AutoCAD to Revit and many more. Sketchup can be temperamental. It is unlike any other 3d modeling software, so transitioning to Sketchup if you are already using something else can feel frustrating. It can take some time to become efficient. Start using the free version to learn modeling techniques. I would also recommend not modeling a real project first but create some sandbox projects until you get comfortable. And last, but not least, use groups! this will prevent your model from becoming a giant virtual glob! I take AutoCAD and Revit models from our Architects and Engineers and import them into sktechup. I then overlay them in the correct project location using the "add location" feature. With this base, we create 3D models of our site logistics plans, including custom animations to show sequencing. "Best learning curve for 3d software"
In a day I was able to go from having no experience with 3d design software to creating exactly what i needed for a work project. Many things were intuitive, and if the solution wasn't obvious, there is an entire collection of tutorials that show you how to do almost anything. My biggest letdown so far isn't with sketchup itself but the mobile app for viewing. Everytime i download my model it is an old incomplete version. No amount of syncing or deleting/redownloading has fixed it. You can do as little or as much as you're willing to learn with Sketchup. As a relatively new user, I know there are a lot of things I can still learn, but I am still able to create exactly what I need for now. Taking time to learn keyboard/mouse shortcuts will make your experience even better. We are doing deck/construction drawings with it. Our old deck building software is no longer supported and we found sketchup is a pretty great alternative that does everything we need it to. "Sketching Models Like A Pro"
Personally, this software meets the minimum criteria and features to model projects faster than other softwares that one can use when in the industry of architecture, planning, construction (buildings), engineering and other that needs to visualize everything planned to start the building process. There are only few things that I dislike about this software, actually maybe one. A lot of problems have been solved since I'm using this software! Actually, the time issues have been solving quickly, nice and soft renders, quick models, this software is awesome! "SketchUp Pro - If you can think it, you can design it." The program is very easy to use and has a tremendous amount of tools and editing features that make simple or complex design easy and intuitive. Designs are easy to view and examine by other users. SketchUp makes a number of viewers and ways for others to share the designs you have created. There are many stock and user created objects for use that make visualization of your design rich and explanatory. The startup time to become a moderately proficient user is long for this type of software. Tools need to be accompanied by better detailed descriptions. Entering the software itself is a bit counter intuitive and needs some better indications on how to proceed. I suggest that you definitely try the basic version to familiarize yourself with the basic function of the program before purchasing the pro. We have used SketchUp Pro to successfully design layout for buildings and construction design. The benefits were obvious in the short amount of time it took to get from conception to an actionable model for use in the field. 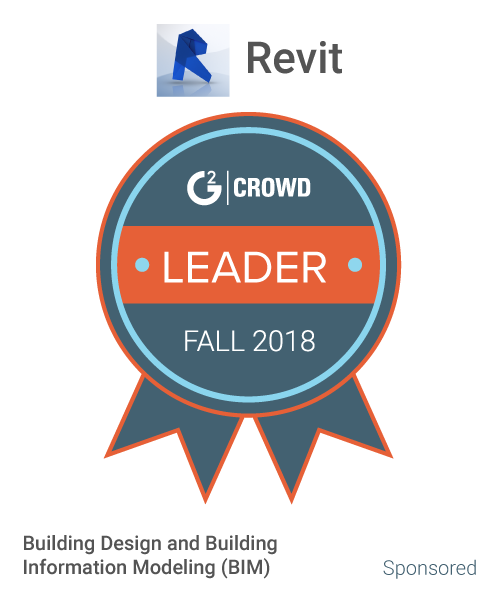 "Great for quick study models and construction documents"
Easy to learn, plenty of extensions to expand capabilities, less expensive option to full BIM software, easily shared, and mobile compatible. Not widely used by larger companies so collaboration can sometimes be a bit difficult. Well worth cost, even if only used as a light-weight design modeling tool. After initial purchase, upgrade/ renewal cost is much lower that traditional BIM software. Great for getting ideas modeled quickly, and sharing ideas. Ease of use saves time. "Sketchup is easy to use"
This is the easiest 3d modelling software to learn. It's extremely intuitive and with certain plugins like Keyshot, Vray, Podium etc, you can make your renderings look like it came straight from the big boys like 3ds max, Rhino etc. Without expensive plugins, there is essentially no rendering ability. Sketchup allows you to export screenshots, but not much to complain about seeing as how this is a free software and incredibly easy to use / learn. I use it on a day to day basis to design exhibits, and other structures for trade shows and corporate events. I also use sketchup to model my home in order to do interior design changes. Price, I wish it was a bit more affordable for college students since it is such a good tool to use during schematic design. I would definitly recommend sketchup to anybody who makes products, buildings, or has ideas they need to portray quickly Ive been using sketchup for over 4 years and I see improvement in their software every year. wish there was a way to auto generate elevations. if that was possible id be able to export cad and issue working drawing even faster. SketchUp Pro is VERY easy to use once you learn the navigation. It is usually the choice for architectural design. It has the support of full-on professional plug-ins i.e V-Ray. Sometimes, SketchUp doesn't seem up to par with the other 3D applications. It still needs some work with the tools and options. More integration is needed with some other 3D software and utilities. Try the free version first. Get used to the interface, and toolset, then upgrade to the pro version. The ease of use, and the 3D warehouse they provide. This software is one of those softwares that can be relied on anytime. It has a user friendly and great interface. works very well with 3Ddesigns. Almost all functions required for a 3D design are present. "All of your rendering and modeling needs"
I love the simplicity of sketchup. It is so easy to use and I can show exactly how the concept of a space is supposed to look. And i love the warehouse, it makes it easy to find almost anything already modeled out. Sometimes I don't like the fact that it is so simple, that some things one can simply not model. Usually there are ways around this though. I am able to show the clients what their new space will look like and that is the biggest benefit of anything. Being able to import a CAD drawing and building accurately within the program. Sometimes the lines somehow get connected and it distorts the object when pushed or pull. That might be user error though. Don't get frustrated. Any problems you come across you can usually find a solution online on a forum or a Youtube video. I'm not too familiar with the Sketch Up Layout program but it might be useful to know since both programs work well together. Probably most useful for small businesses or independent designers that don't need the formality of CD sheet sets, i.e. in AutoCad or Revit. I hope that SketchUp Pro comes with an internal basic rendering feature in the future for those of use that don't need elaborate realistic renderings just a model with more shadows and less line work (I know there is a selection for no lines but it makes the model look odd most of the time). Being able to create a a basic 3D model quickly for presentations. It has helped my clients see their spaces come to life when they aren't able to visualize line drawings or sketches. Sketchup is the quickest way to bring your design ideas to life. Floor plans can be imported from other programs (Vectorworks, etc) and brought to 3D life quickly. I also love the objects library that allows you to choose from thousands of already made items to complete your designs! The built-in texture options aren't great. a lot of time is then wasted online trying to find free seamless textures to use. As well, the auto zoom-in/zoom-out is tricky to use and you often find your view "stuck" in walls. A fantastic tool, invaluable in bringing designs to life for client comprehension. Sketchup allows us to show our clients a whole picture - so they can envision what their space will look like, and therefore feel better about spending the money. This leads to better sales! "The most innovative tool for schematics in architecture"
I like the fact that you could actually be creative with using a 3d software. A lot of times theres a lack of ease in manipulating a 3d software program, such as 3d cad or revit or archicad etc., but Sketchup definitely gives full potential, rather faster done in 3d than drawing it by hand. It sometimes lacks in accuracy, for example like the wall thicknesses that look like paper thin and face-me(s) all lack in detail. But, I do understand it all came from pop up fast push and pull to get a quick schematics, not for documentation purposes. Best program for quick sketches. literally a quick "Sketch-up"
I like being able to bring a plan up in 3d and seeing how things work together dimensionally. I wish there were more blocks that are based on commercial furniture to bring into the plan. I also hate that everything to gives "life" to the plan is an "extra" that needs to be bought and added to the program. We are using this to help clients "see" what the plan and proposed design scheme will look like when complete. It helps them make a selection between design options. It's a great tool for personal projects - I've used it when moving and want to use it to redecorate apartment and see what furniture fits; I've modeled friend's apartments as well. Using it visualize building interiors and exteriors. Benefits are that it is very easy to put in your own materials so it helps visualize. The ability to give you a base to render and the way that you can add accurate shadows. The fact that you have to group all components in sketchup is very tiresome and can be quite annoying. There isn't an ease of design in the sketchup modeling aspect but when it comes to rendering, I don't find that rendering straight from sketchup is very aesthetic. It is recommended to go through another program , such as photoshop, to have more control over representation. Easy to learn and software is flexible. Often have to refer to google to learn shortcuts. We can easily models things and use the 3D warehouse whenever we need a model of something. This helps us win more projects. I'm a teacher. I love the fact that Google has provided SketchUp Pro free of charge to educators. This program is way easier to understand and use than other 3D rendering programs. It's very simple toolbars make the interface easier to understand, with prominently used tools not difficult to find. They even have a free version on the web which I love. It is regardless still complicated when harder tasks need to be completed. The VRay tools are difficult to understand, especially with the tool graphics looking so similar and scrambled with no order next to each other. I use Sketch to create building and space renderings when proposing new ideas or recreating spaces. "Easy to learn; great visual"
Very user friendly and easy to convey concepts. Global imports cut time. Layers system would be better if I could group layers. Can only import CAD files with pro. When importing cad files, you have to spend a lot of time cleaning file up before and after to make effective. Highly recommend. Very easy to learn and implement. Great visual aide. Helping client visualize and understand design concepts and scale. We can promote specific furniture pieces in 3D without client feeling uneasy and without taking the piece to the house. I like Sketchup's intuitiveness and that it allows me to draw in 3D. I personally don't like Layout. I find it difficult to create professional looking drawings with it. The snap for dimensioning is not very friendly either. We can share between the design team and our builders and all operate in the user friendly environment. "Easy to start using, quick designing, does the job"
I really enjoy using sketchup for quick modeling exercises. it really helps me convey 3d concepts to clients. "It works great for the layperson and the professional"
Too easy to mess up and merge faces, surfaces will mess up components and merge with other surfaces stretching them. Delete a line and an entire surface may disappear. I like that it's easy to learn and there are lots of functions. I don't like how I need to purchase a 3 button mouse with scroller. I like to use this software on my mac products. Easy to mock up a model and show it to clients without making actual model. This is the best product if you want to mass things out. Bring able to mass things out within couple minutes allow designers to design within the program. Its lacking in details. Its not ideal to mass the entire wall. Only for brief ideas. The ability to move throughout the model freely. It can be slow at times if you have a lot going on. "Takes some time to get used to"
The product had a lot of different drawing options. The product was very difficult to use properly. Take the time to read up and take training on this product. Could be very useful if used properly. i was using it to take drawings on paper and put them on the computer to print for my men. "Nice results, interesting to use"
because everything is done on planes, it is hard to maneuver things around. I like how sketchup has a simple interface. Easy to find what you need in drop down toolbars and options. I understand that the more components are in the file, the more likely it is to lag. However, it's just hard to get around without using set components that are offered to use in your models. Use shortcut keys, it makes life easier! Visual design solutions are always great when you're drawing up floorplans. It helps general clients see what we're trying to design for them. "Sketchup Pro is great for quick renderings"
it's quicker to build and see 3D model with tentative material. * We monitor all SketchUp Pro reviews to prevent fraudulent reviews and keep review quality high. We do not post reviews by company employees or direct competitors. Validated reviews require the user to submit a screenshot of the product containing their user ID, in order to verify a user is an actual user of the product. Hi there! 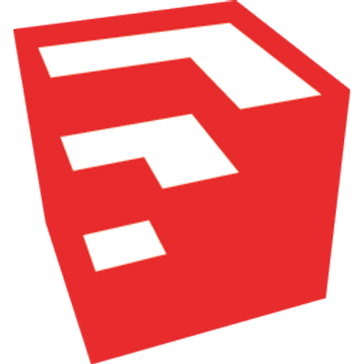 Are you looking to implement a solution like SketchUp Pro?